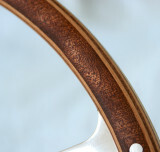 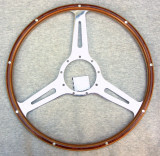 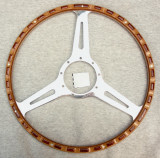 The Derrington steering wheel is perhaps the most widely recognized and copied design among classic period wheels. 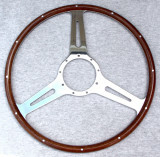 The name Derrington over time has become a generic and is very often misused to describe any steering wheel with equal spoke spacing. 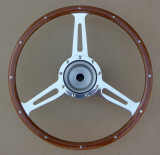 Please take some time to read my blog on the Derrington for the history and details behind the original making of this very popular design. 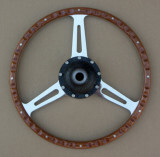 I make versions of the Derrington spoke in 15", 15.5", 16", and 17". 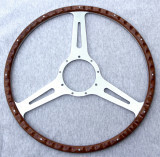 I make them with woods of customer choice, or with alternating color laminates as original.